Table manners are important and what we learn as a young one sticks with us for life. But what about children who haven't been taught how to eat with a knife and fork? Nana’s Manners is a high quality British lifestyle brand dedicated to helping children develop life skills. Nana’s Manners creator and founder Kathryn, who was originally a primary school teacher and has two children of her own, became aware of the need for a brand that helped children develop skills such as eating with a knife and fork. Through teaching in school Kathryn discovered that just 2 children in a class of 30 had a working knowledge of how to hold cutlery correctly and use it effectively. As a teacher she was familiar with devices such as pencil grips, training scissors and easy grip rulers which are all products that help to teach children the correct methods for each action. However, she quickly learnt there was no cutlery available on the market that worked in a similar way. her blade with cardboard. Working the clay into a moulded handle Kathryn was looking to create a shape that sat well and was comfortable in a child's hand but yet guide them to hold the utensils in the correct way. From here, the school teacher, became a self-taught product designer and solidified her designs in digital renders, CAD modelling and 3D prints. Step by step, Kathryn created a brand that answered the needs of both parents and children alike. Trialling her creation on her class, Kathryn then began to tailor the designs from the children's reactions into reality – Nana’s Manner’s. 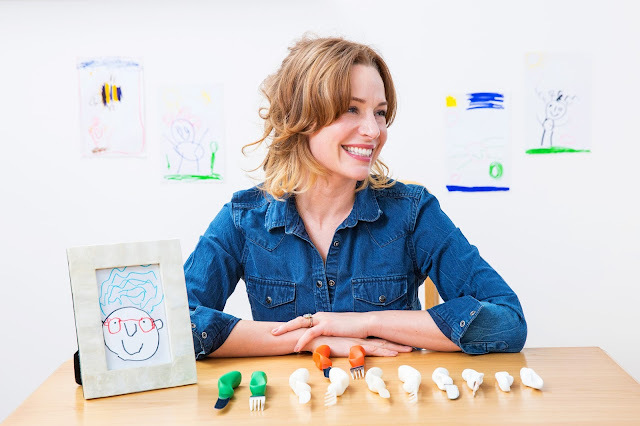 Now with a complete patented product, Kathryn is launching her business through Kickstarter. 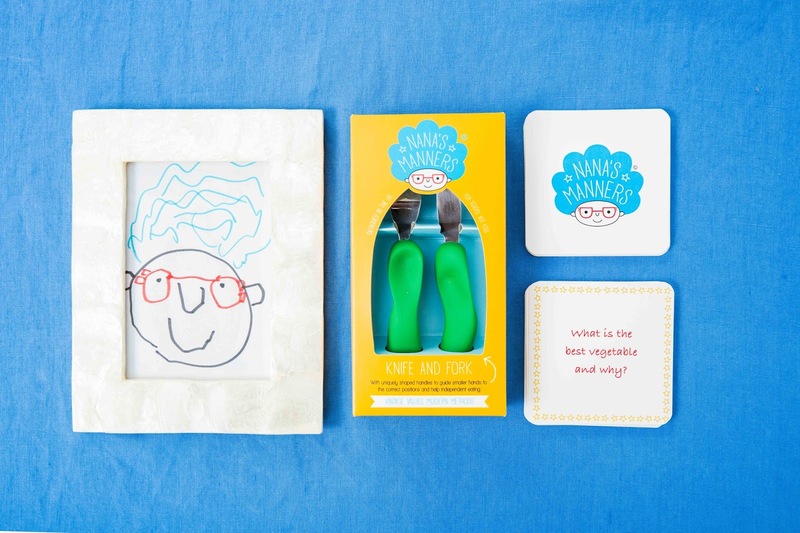 Nana's Manners is hoping to fund the initial production run by offering consumers a chance to buy the first edition sets of cutlery in return for pledges reaching their target amount! 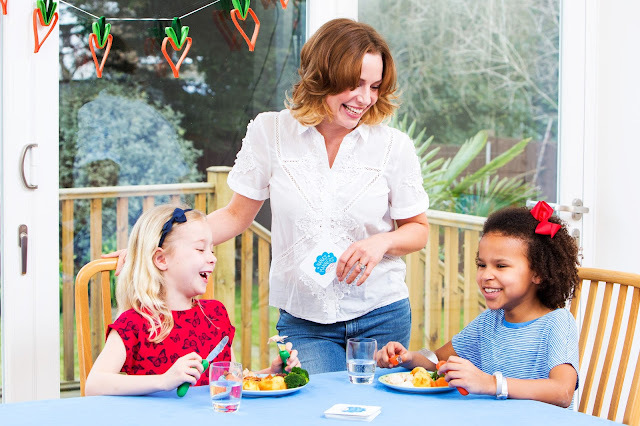 Offering a wealth of experience, expertise and support to children’s development and independent learning, Nana’s Manners has a clear vision to help children acquire life skills in an independent manner. The brand aims to build kids' confidence, aide them in acquiring necessary life skills and promote independent learning. Find out more about Nana's Manners and support their Kickstarter here. Happy long weekend everyone! Hope your week has been as productive and exciting as mine! I'll be heading off on a mini break this weekend.. have a fun filled long holiday! Here are the links that I've been reading this week. The Grace and Frankie Beach House: please can I move in?! I really, really want a slice of the Grace and Frankie real estate action! Pentagon still uses floppy discs: this takes me back to my first computer! Jolt your corporate board with a millennial: wondering what benefits a millennial can bring to a board? This article explains all. #AusVotes: hooked on the Australian elections? The Twitter Aus feed has a great range of infographics and stats about the campaign! 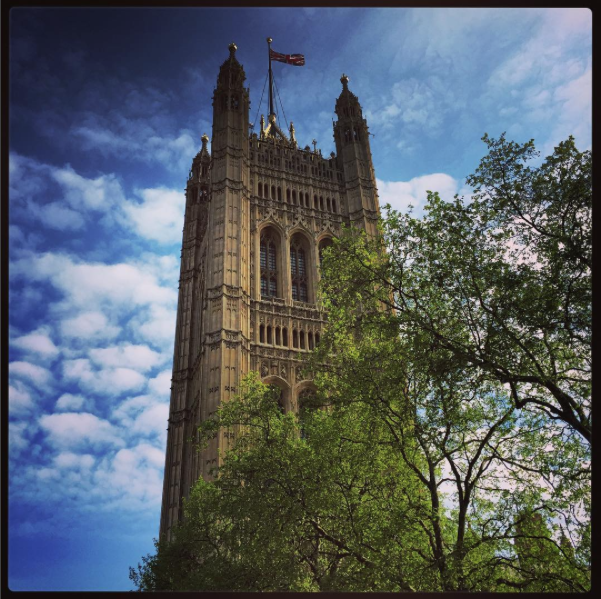 If you're a follower of my Instagram feed, you'll know that I am currently working in London. It's an exciting project, combing my love of digital and politics into one- and something that has never been tried out before! 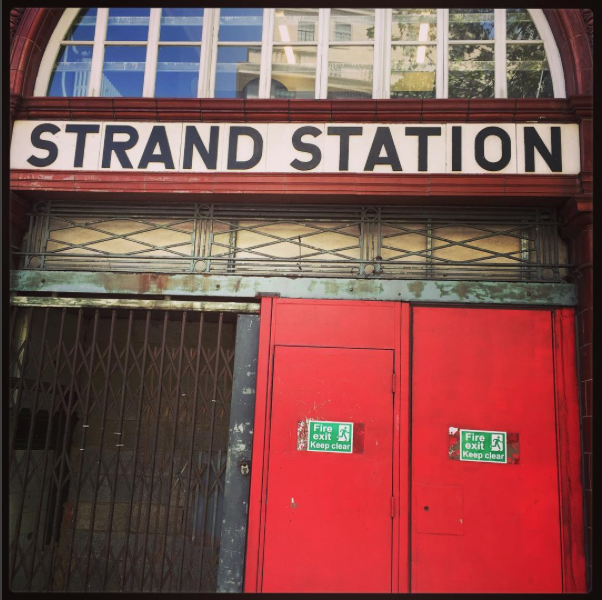 I'll be sharing more details over the coming weeks, but for now, here are some of my photos from in and around the city! Candy fans rejoice: you can now get your fix delivered straight to your door! I have a raging sweet tooth. From ice cream to chocolate, candy to cake, a little bit of sugar makes my day that much brighter. Sugarwish is every sugar fan's dream. A candy gift that begins with an ecard, the link takes the lucky recipient to the store where they can pick and mix their ultimate candy collection. With different tiers and collections available, you can make the gift as personal as you like...or send one to yourself! My Sugarwish box contained four awesome treats: champagne bubbles, peppermint taffy, green apple drops and dark chocolate almonds. Heaven. 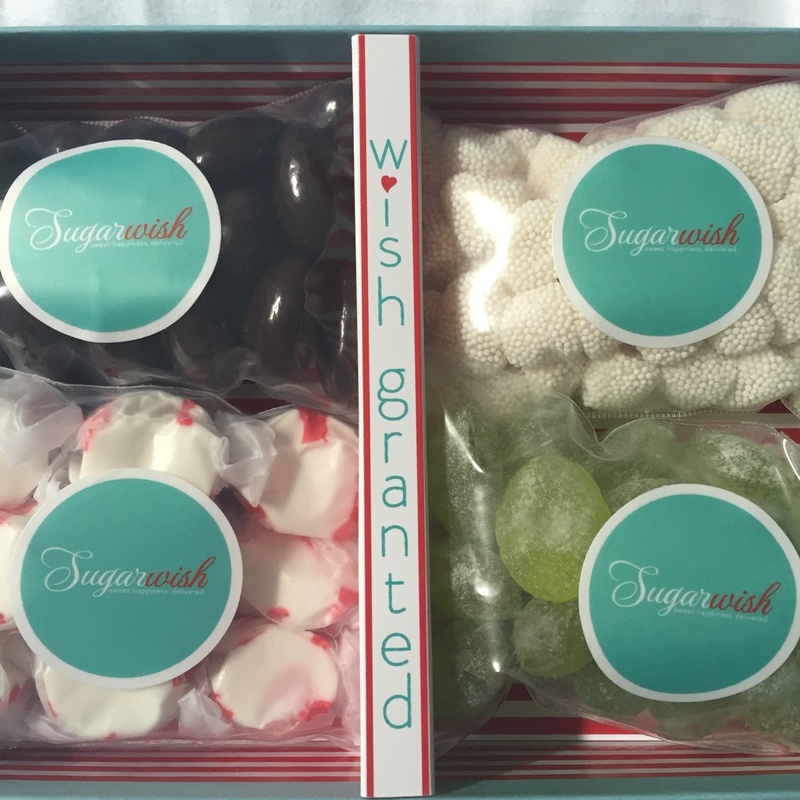 Presented in a great gift box and with other candy treats available to purchase, Sugarwish is a perfect gifting option and a special way to treat yourself! Thanks to Sugarwish for sending me a sample box to try. During my time in the Southern Hemisphere, I made a quick five day trip to Christchurch, New Zealand. I was last in CHC in 2010, a few months before the first earthquake that really turned everything upside down. It was both interesting and sad to revisit Christchurch. Much of what I remember has physically gone- the towering Cathedral, historical buildings and the convention centre all reduced to piles of rubble and ruin. The Millennium Hotel, my base for the 2010 trip was boarded up, with stacks of chairs and tables visible at the windows. Many of the shops and restaurants have since been demolished, and whilst rebuilding has started, Christchurch still has a long journey ahead. I also took a trip up the gondola, something which I missed out on last time! The views were outstanding on a fantastically sunny day! Check out some of my other Christchurch pictures here. 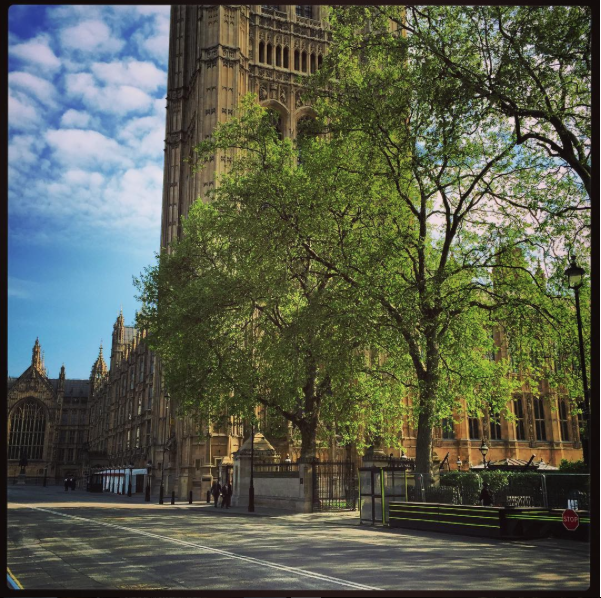 It's been another exciting week for me in London! My project kicks off the next stage on Monday, and I'm excited to share the details in a few days time! The doteveryone Digital MP program: find out a little bit about what I'm working on! Artist makes posters of DC neighbourhoods: see the nation's capital in a new way! I stumbled across the Collette Dinnigan: Unlaced exhibition at the Powerhouse Museum in Sydney and am I glad that I did! The exhibition is the first to explore the work of this internationally acclaimed Australian fashion designer. Each dress was more beautiful than the last, and the use of light, streamers and moodboards told the story of Dinnigan, her work and clients in a spectacular way. Some of my favourite pieces were those worn by Australian Foreign Minister Julie Bishop, Princess Mary of Denmark and Nicole Kidman. An amazing part of the exhibition was the moodboard room, where Dinnigan's creative colour coded processes were on show. A mix of invitations, letters and personal mementos really told the story of Dinnigan and her creative process. If you're in Sydney anytime until September 2016 definitely check out Unlaced! 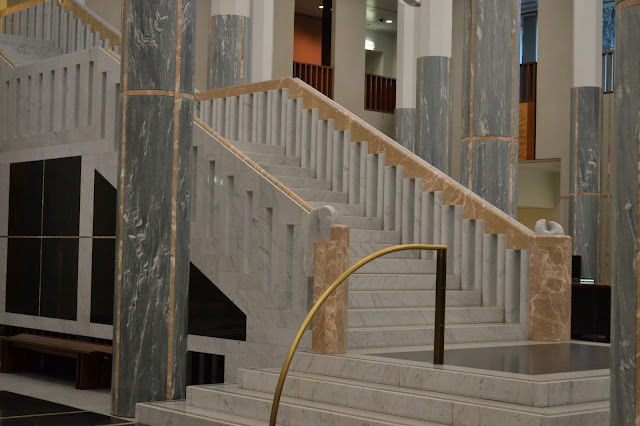 During my time in Australia I took a trip to Canberra to visit the impressive Australian War Memorial. 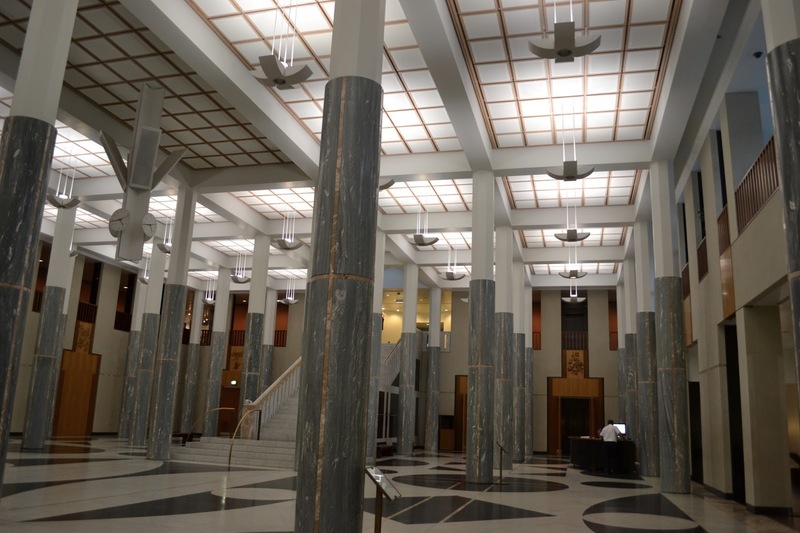 Joining the Australian Parliament to occupy the heart of the city, the Memorial commemorates the sacrifice of Australians who died in conflict alongside an extensive museum and archive collection. 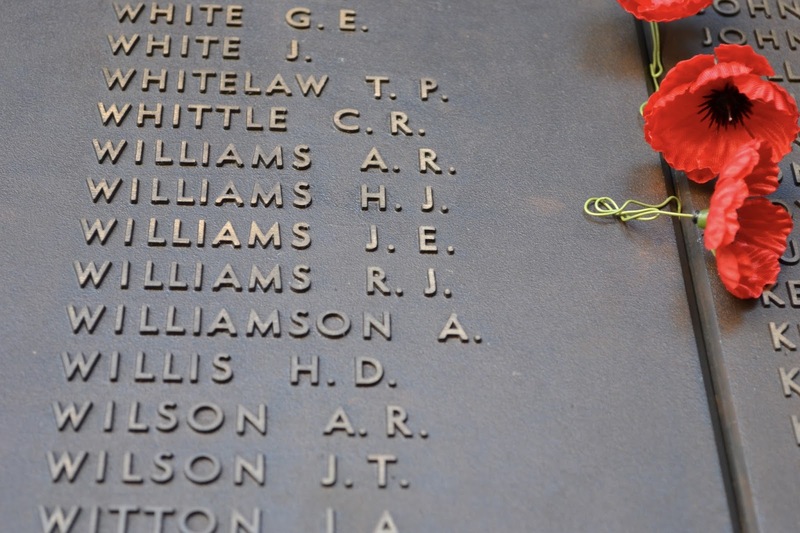 The Memorial forms the core of the nation's tribute to the sacrifice and achievement of 102,000 Australian men and women who died serving their country and to those who served overseas and at home. A central commemorative area surrounded by arched alcoves houses the names of the fallen on the bronze panels of the Roll of Honour. At the head of the Pool of Reflection, beyond the Flame of Remembrance, stands the towering Hall of Memory, with its interior wall and high dome clad in a six-million-piece mosaic. Inside lies the Tomb of the Unknown Australian Soldier, an official war grave and national shrine. My visit to the Memorial was personal in many ways. Whilst researching my family history I came across the sad story of a third generation cousin who emigrated to Australia, signed up to fight in World War I and was killed during the conflict in France. The name of John Edward Williams is inscribed on the wall, and placing a poppy beside his name and that of his comrades was very moving. A visit to the Memorial will help visitors to understand Australia's past and its future, as well as its spirit. 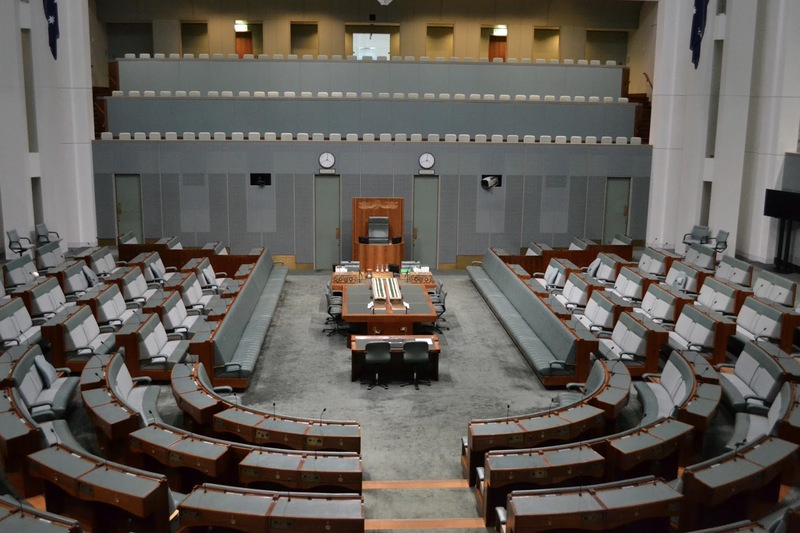 I'll be returning next time I am in Canberra. 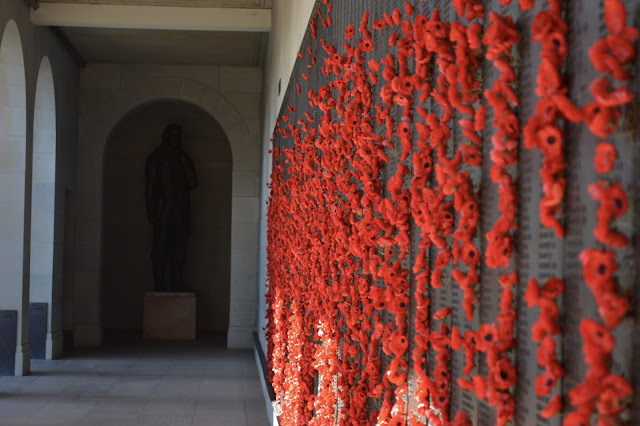 For more photos of my visit to the Australian War Memorial click here. Part of my ritual when travelling is to check out the magazine stand at airports and independent stores. There's something exciting about discovering a a new title or genre that you can't get back home! Collective Magazine immediately caught my eye, and with the legendary Iris Apfel on the cover, who wouldn't want to pick up an issue? 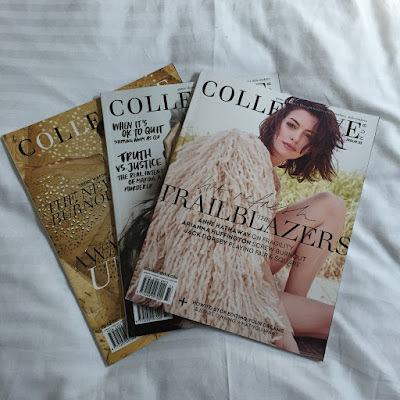 A magazine packed full of entrepreneurial and lifestyle inspiration, Collective has features that you will actually want to read, and is packed full of tips and tricks that you can implement in both your personal and professional lives. The photography is inspirational and dotted throughout each issue are Artist Takeover pages containing great quotes and art prints that you can cut out. Several will be used in my new home office! Lisa Messenger, Founder and Editor in Chief of Collective has really created a unique hub concept with the magazine's physical and digital platforms. Each issue makes you crave for the next, and with a great online presence, you'll be kept entertained and fulfilled until the next issue is published. 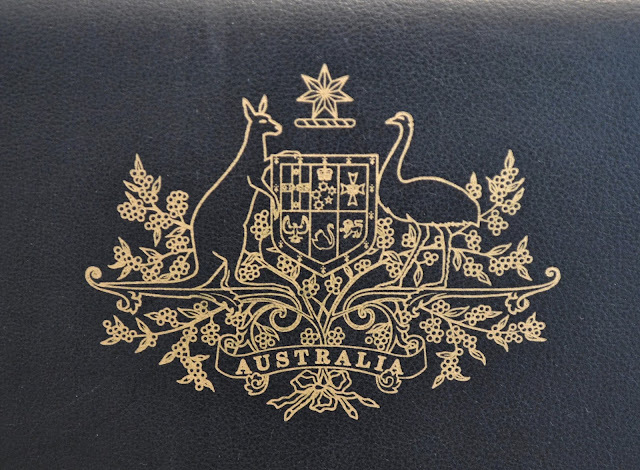 If like me, you live outside Australia, you can pick up a subscription. I'll be doing mine today! Hooray for the weekend! 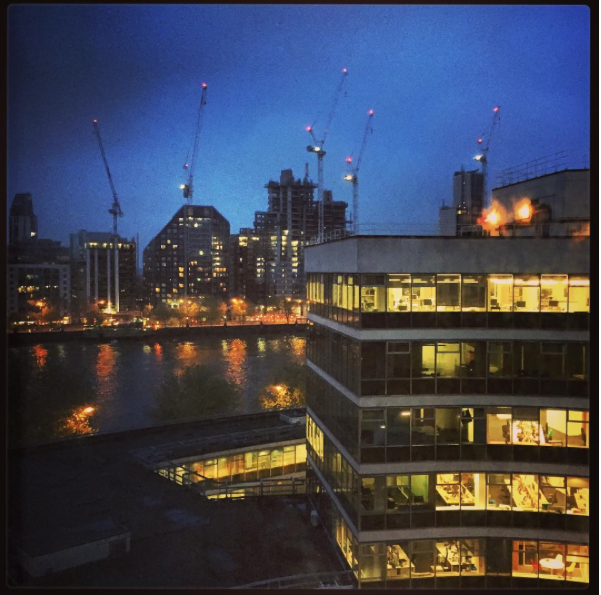 It's been a week of fresh starts for me- I've started working on a new digital project in London and am excited to see what the next few weeks bring. Lots of hard work and late nights are ahead of me! I've been catching up on the following links in between breaks and when I needed a little different reading! How MSPs use Twitter: a fascinating look into how Members of the Scottish Parliament use Twitter to connect with their constituents. The Good Wife and its lessons for dressing: whilst this amazing show may be over, its fashion lessons will live on. The real beach house from Grace and Frankie: I am obsessed with this show...and even more with the perfect beach house! Hooked on Houses has found the real version! 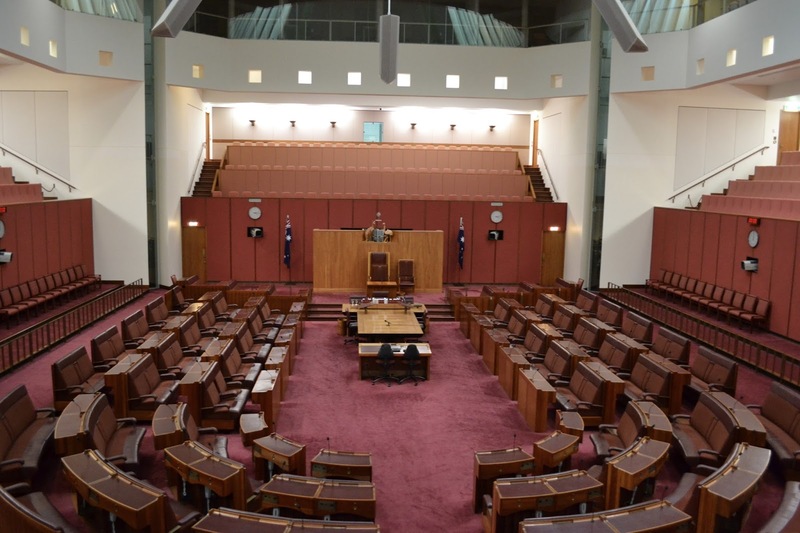 As the resident political geek my trip to Australia wouldn't have been complete without a visit to their Parliament in Canberra. A Friday afternoon is a great time to visit both the House of Representatives and Senate- no-body was around so we had the place to ourselves! Both chambers were larger than I expected, and you can certainly imagine how fast paced and loud the atmosphere is when both houses are session. I was impressed by the 1980s decor, and the striking boomerang shaped design of the building itself. One of the highlights was going on top of the roof and looking out across Canberra's vast landscape. So what are the must-sees of Parliament House? I did a self guided tour which enabled me to spend as much time as I wanted in the various parts of the building. I really loved sitting in the House of Representatives, seeing the tapestry in the Great Hall and the massive Australian flag which adorns the roof of the building. It's about half the size of a tennis court! 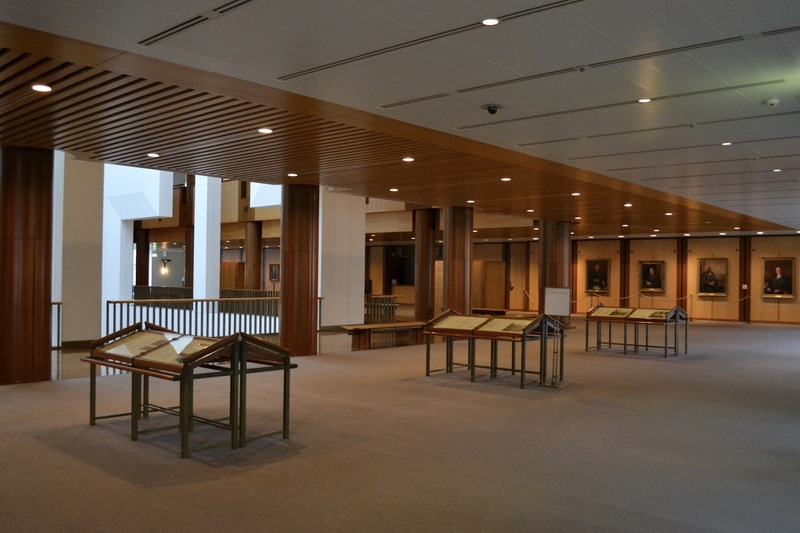 Also take time to view pieces from the Parliament House Art Collection which has portraits of every prime minister, governor general and other significant Australian art works. The gift shop is also well worth a visit! I'm a keen photographer, and if you're anything like me, printing out my photos is very much part of the process! It's fun to see the finished result in print, as is choosing a frame in which to display them. Research from IKEA has demonstrated that photo frames may be on the way out. Over two thirds of the UK (68%) admit that they don’t keep a physical photo album any more but 61% fear that they could lose years of memories if technology failed them. 380 billion photos are taken per year and 300 million per day are uploaded to Facebook. Yet 66% haven’t printed a photo in the last year. However more almost half of Brits (49%) said that photographs would be the first object they would save if their house was on fire. IKEA is hoping to change this trend and has launched a search for the greatest UK images in a campaign to celebrate the nation's memories. 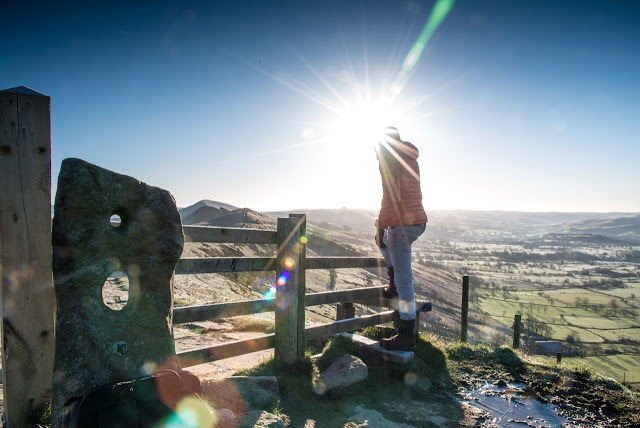 The public are being encouraged to share their favourite memories with a winning 100 images to be displayed in the chain's UK stores. To take part in the campaign, upload your photographs here. 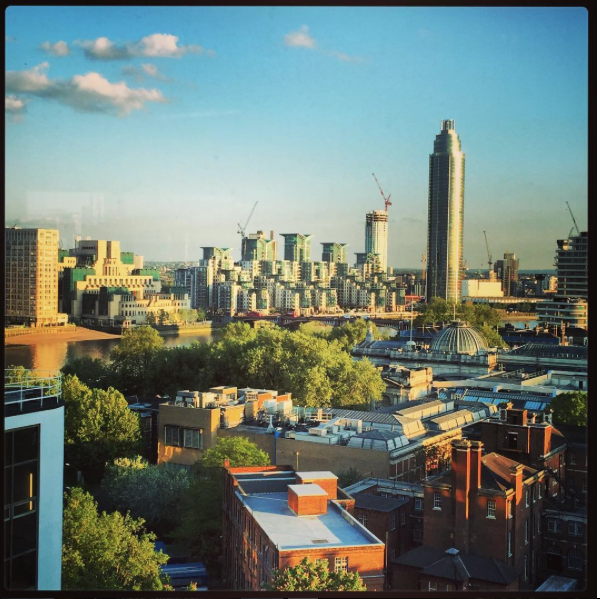 The winning shots will be chosen by Britain’s most followed Instagrammer Mike Kus and IKEA co-workers. 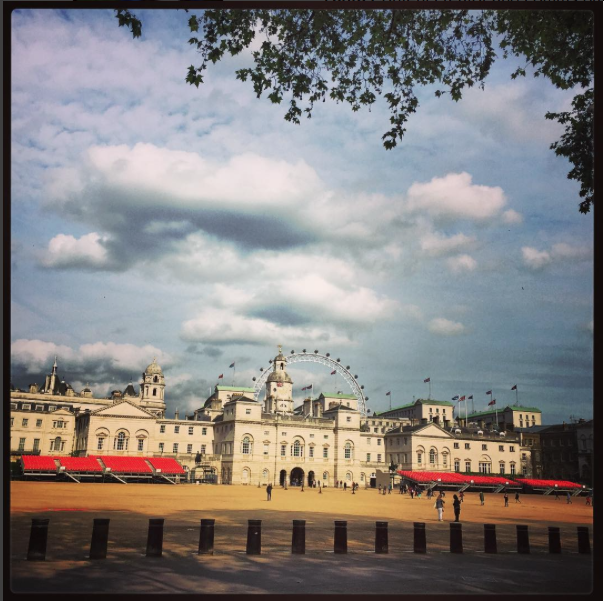 You can also enter by tagging photographs on Instagram and Twitter with #WonderfulEveryday and @IkeaUK. 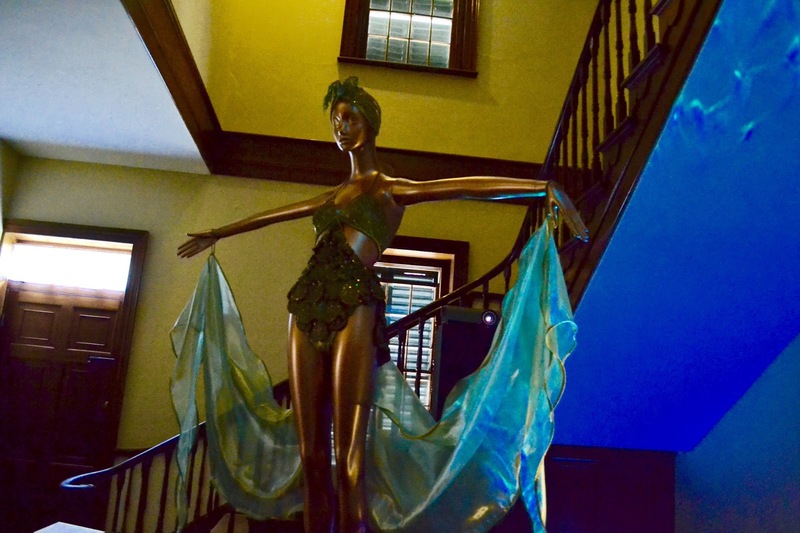 A highlight of my recent trip to Australia was a visit to the Miss Fisher's Murder Mysteries Costume Exhibition at Old Government House in Parramatta. For those not familiar with this amazing show, Miss Fisher is a private detective living in 1920s Melbourne, working with the law (and sometimes against it!) to fight the bad guys whilst wearing a seriously chic range of heels, accessories and evening gowns. I'm a fully fledged fan, and the worldwide Miss Fisher community can all agree on one thing- Miss Fisher is a crime fighting fashion icon! The exhibition is travelling around Australia, having been in Melbourne and Adelaide for the past few months. After it closes in Sydney in a few weeks time, the exhibition will head to Brisbane. For more details on the exhibition and tickets click here. 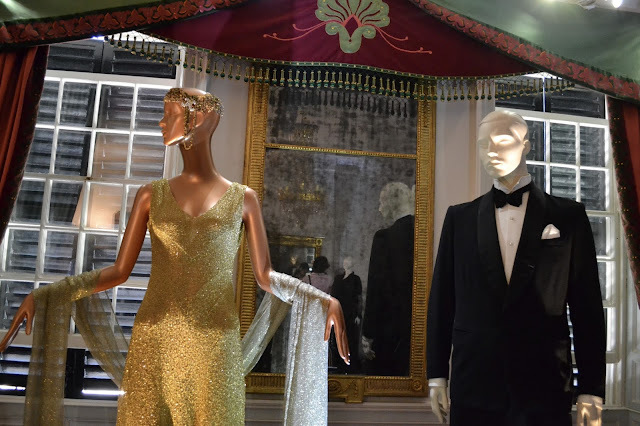 Until then, enjoy my photographic journey through the Miss Fisher Costume Exhibition - I'd love to know which dresses and accessories are your favourites! You can view more photos of the exhibition on my Flickr page.